“Cyril has a phenomenal amount of knowledge and great project management skills which brings control on site. This was very good for me as an architect, because he asked the right questions at the right time to get the job done. 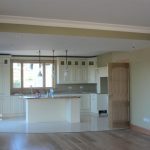 These skills combined with his excellent tradesmen, brings a very high quality of work. 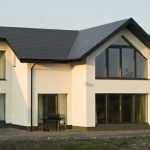 “We already had planning permission when I initially contacted Mannion Passive House Builders to do PHPP on the design. 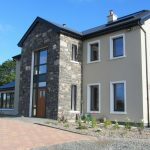 My wife, Sharon was not convinced about building a passive house but we visited 2 completed Certified Passive Houses and her confidence was built up. Cyril suggested some design changes, and in consultation with the architect and ourselves, removed some features that were unnecessary, this saved us money and improved the layout and performance of the house. A strict deadline was in place for the completion, and this was met, there are no settlement cracks worth mentioning. “Cyril is very knowledgeable, not only about managing a project, but also about sustainability and building performance. He is particularly good at what he does and he takes great pride in his work. “I felt very strongly that I didn’t want to live in a draughty house. 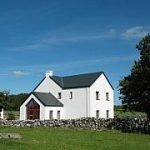 At the tender stage, Mannion Passive House Builders had been recommended to us and they won the job due to their energy efficiency expertise. Cyril and his team were a pleasure to have around and their reliability was just fantastic. MHRV is like an invisible pair of lungs for the house, there is no noise and there is very little dust, even immediately after we moved in, people said we would be hoovering up dust for years, that usual level of dust did not happen. 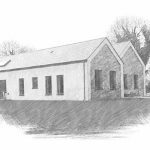 “The reliability and quality of the work Mannion Passive House Builders delivered was exceptional. The standard of finish they achieved was down to careful consideration and planning on how all surfaces were to meet. 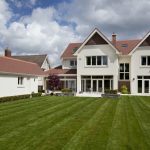 Cyril had an excellent team of tradesmen and was able to spot issues ahead of time, the result is a seamless look far exceeding my expectations. I also found Mannion Passive House Builders were very fair on cost, there was no playing games, this is very unusual in my experience. 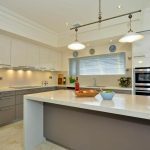 The only cost deviations arose where we made changes as the project progressed and the keys to the house were delivered the week they were scheduled. 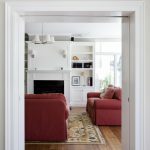 “From the outset, I wanted to build a passive house and thoroughly researched the options, even exploring possibly shipping a kit house from Germany. 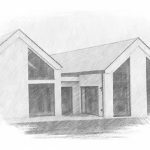 I met Cyril and felt he was very responsive and had great ideas, there were no other building contractors under consideration for this project. Cyril knows how to deliver a quality product, the finish and detail is very good, in this type of house this was essential to achieve the crisp look. 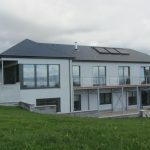 I would recommend to anyone to build a passive house, they give a superb level of comfort the house is quiet with a consistent warmth throughout, this gives a feeling of wellness, people notice it when they walk in the door. “Mannion Passive House Builders’ extremely good reputation preceded them. They are extremely professional and helpful. There were no issues at all with cost variation for my client, which is very unusual. “We have had absolutely no issues whatsover with the work that Passive House Builders did, everything Cyril said about the performance of the house has come true. Cyril was very helpful, he gave lots of advice on reducing the whole cost of the build from a design perspective. 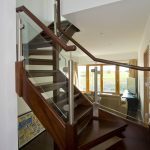 “When looking for a builder we asked around and found that Cyril had a very good reputation in the trade. On initial contact I found him to be very enthusiastic, informative and co-operative even prior to tender. 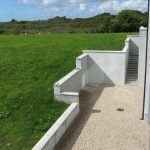 His tender was also very competitive and his proven experience and knowledge of passive and low-energy building led us to hire Mannion Passive House Builders. 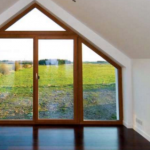 “We found the Mannion Passive House Builders team very efficient. Though challenged by bad weather and a complex plan, the build was completed to our satisfaction within ten months. “It’s a lovely house to live in, there are no big fluctuations in temperature, it’s really comfortable. 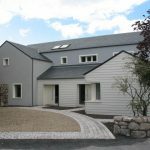 Mannion Passive House builders were great to work with, their staff treated everything like it was their own.